1985: the first Dr Martin Luther King’s Day. Rural slaves used to stay after the regular worship services, in churches or in plantation “praise houses”, for singing and dancing. 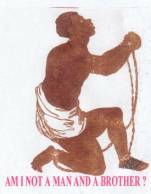 But, slaveholders did not allow dancing and playing drums, as usual in Africa. They also had meetings at secret places (“camp meetings”, “bush meetings”), because they needed to meet one another and share their joys, pains and hopes. In rural meetings, thousands slaves were gathered and listened to itinerant preachers, and sang spirituals, for hours. In the late 1700s, they sang the precursors of spirituals, which were called “corn ditties”.